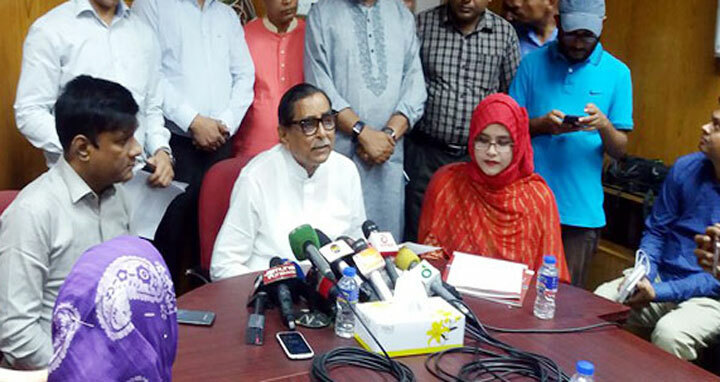 Dhaka, 18 April, Abnews: Social Welfare Minister Rashed Khan Menon on Wednesday said the government will bear the educational expenses of the two younger brothers of Rajib Hasan who died following a tragic road accident in the capital. ‘I’ve ordered the director general of the Ministry of Social Welfare to shift his two brothers to government Shishu Palli,’ said the minister while talking to reporters at the secretariat. Besides, the minister announced a donation of Tk 50,000 to Rajib’s family from the government treasury. ‘We’ll not only take responsibility of their education but also take steps for their jobs after giving them technical education,’ he said. He urged the affluent section of society to stand beside the helpless people.